Drivers are tracked using a point system in South Carolina. When you are convicted of a traffic violation, points will be put on your driving record. 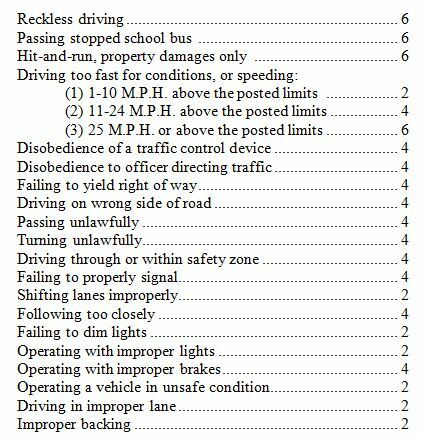 The amount of points put against your license ranges from two to six points, depending on the seriousness of the offense. If you accrue twelve points or more on your license, it will be suspended for a minimum of three months. Points posted to your driving record will begin to reduce after one year.